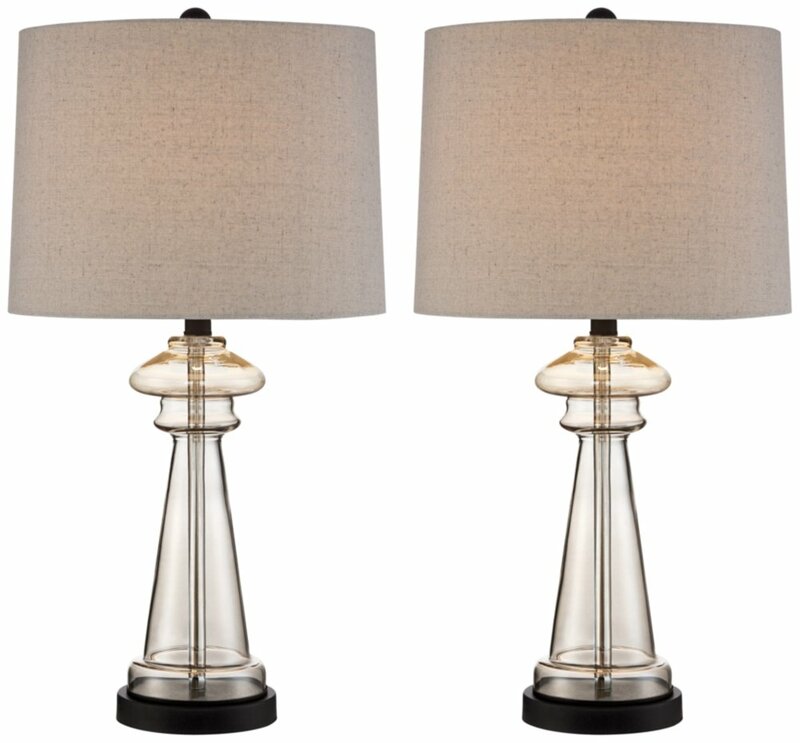 Set of 2 glass lamps: 27″ high. Each shade is 13″ across the top x 14″ across the bottom x 10″ on the slant. Each weighs 4.9 lbs. 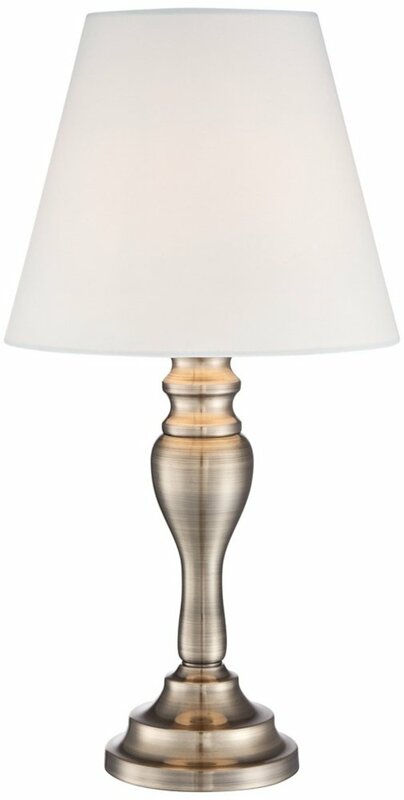 Lamps use one maximum 100 watt standard-medium base bulb (not included). On-off socket switches. 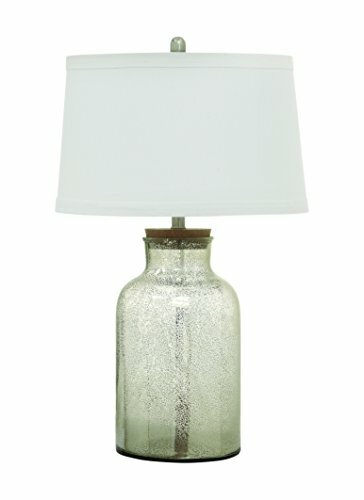 Glass table lamp from the 360 Lighting brand. 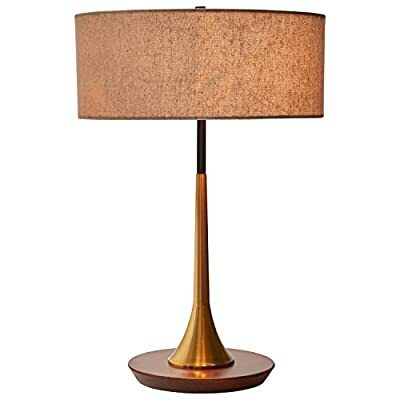 This handsome mid-century modern lamp shows off sophistication with a slightly curved brass center pole. 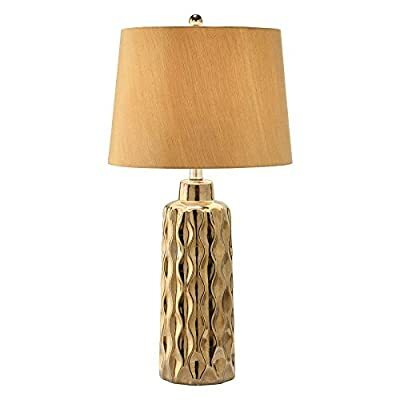 Rooted in a walnut base, the brass and black rod extends above the fabric shade. 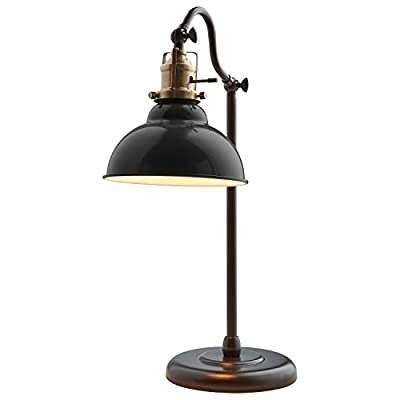 This lamp works well in a modern or industrial-style setting. 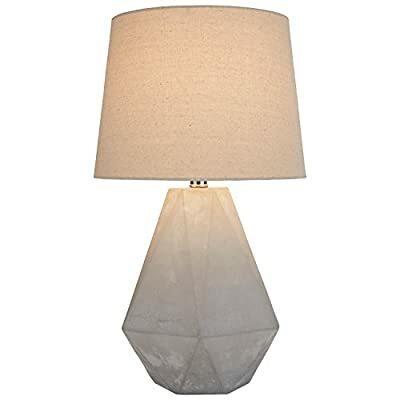 CUTE AND CLASSY DESIGN : The small lamp features a shiny crystal pull chain,easy for off and on switch while looking elegant,Tiny black base is heavy and sturdy without taking up a lot of space ,and vertial patterns lampshade give off a great light but not over stimulating. 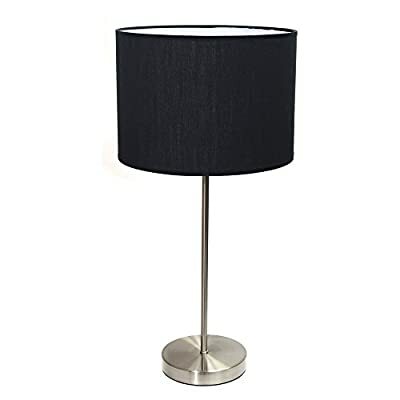 PRACTICAL AND DECRATIVE:The table lamp, with 15 inch height, giving a plenty of light in a limited space,is perfect for reading bedside, and also a good gift for friends or family;As a accent,the lamp is a good decration for nightstand,bedroom,living room,guest room,dresser table,office desktop. 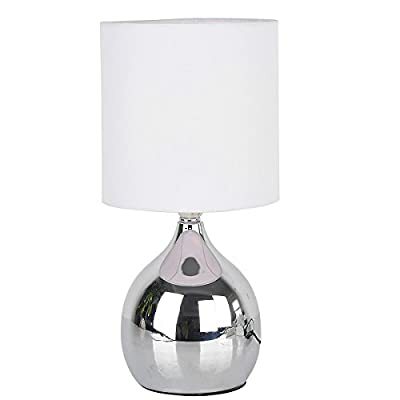 EASY AND QUICK INSTALLATION: The fashion bedside table lamp is easy to install in a few minutes, and you just pull the chain to turn the end table lamp on or off, which makes it convenient to use. 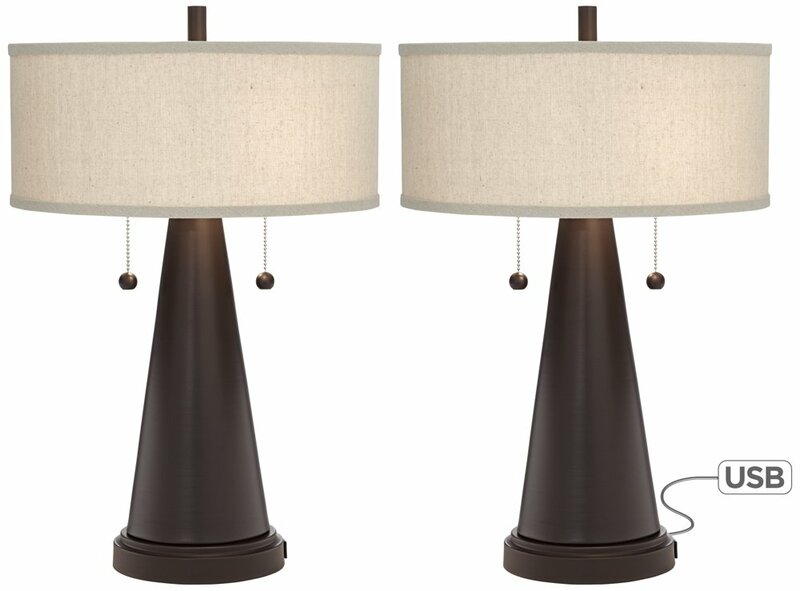 Each lamp is 28″ high. Bases are 6″ wide. Shades are 12″ across the top x 13 1/2″ across the bottom x 10″ on the slant. 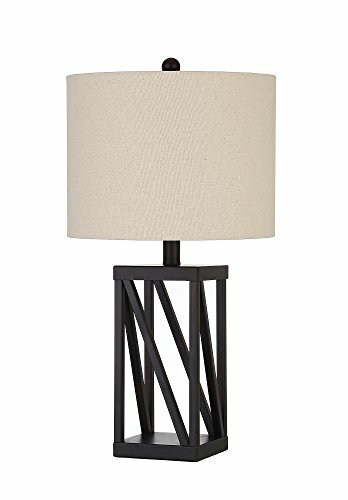 Each lamp weighs 3.9 lbs. Dimensions: 11 diam. x 23H in. 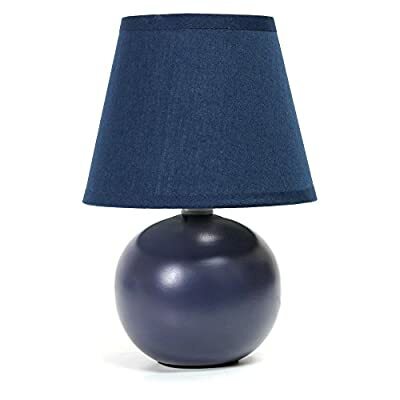 Knockdown design – which would make sure the lampshade arrives in a good shape and reduce packaging for environment-friendly. Easy Installation – just two screws and plug in the cord, switch the toggle, light up your room with ease. 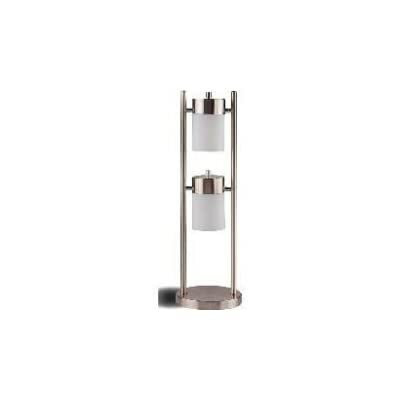 Energy Saving – Our LED light fixture comes with E26 Edison LED bulb which is long lasting and energy saving. MODERN DESIGN. 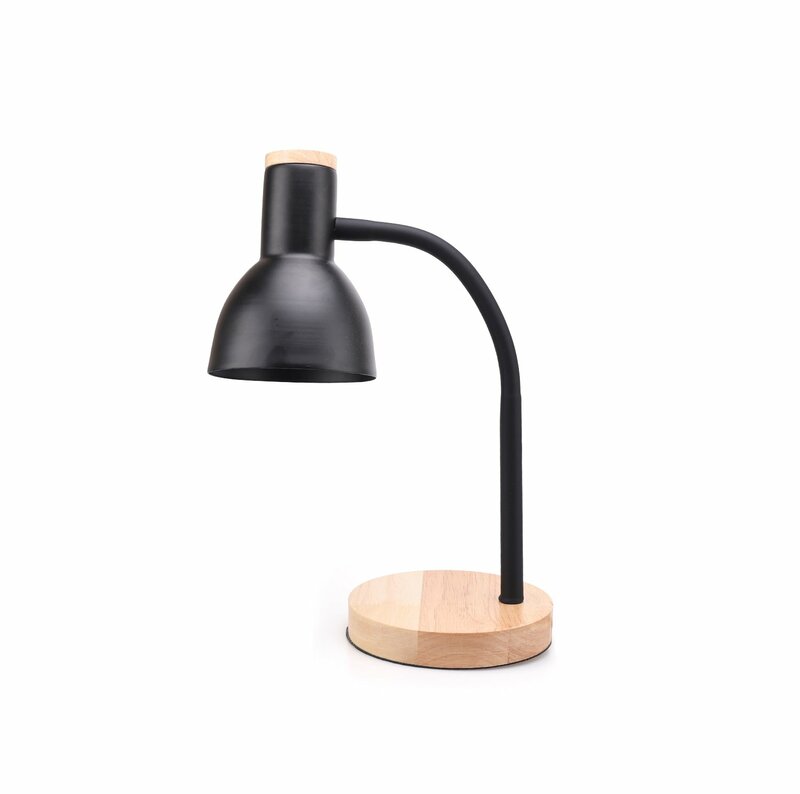 The desk lamp is made with a wooden base combined with flexible goose-neck and steel shade. An adjustable goose-neck allows you to orient the beam to the height and angle you want.It’s graceful, simple but modern design. Bright light can satisfy your demand for illumination. WIDELY USED. 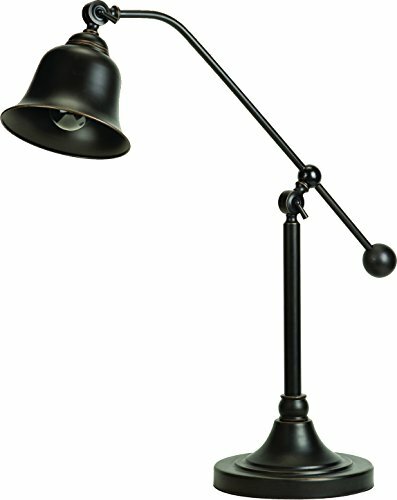 The desk lamp is suitable for many occasions. 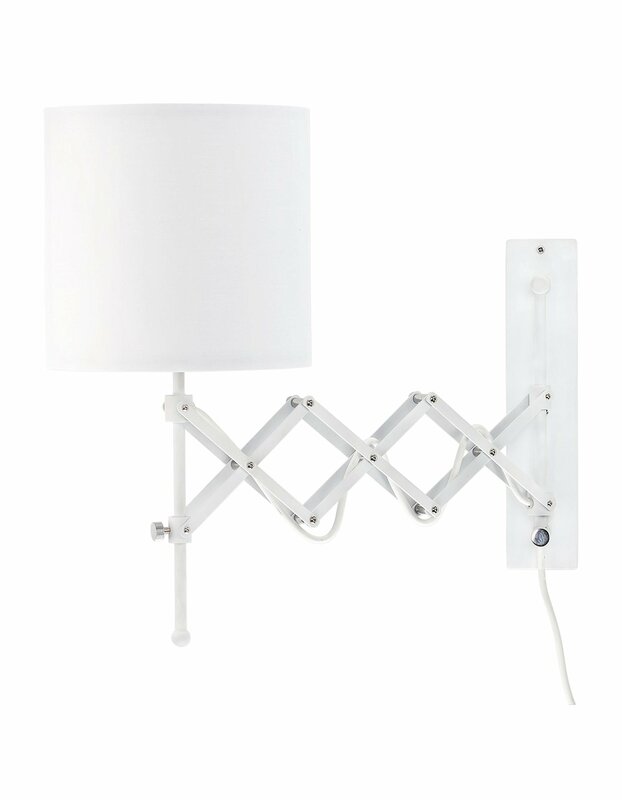 Good choice for bedroom, study, office and etc. Soft but bright lights can provide you with a better lighting environment. DOUBLE CHOICE. 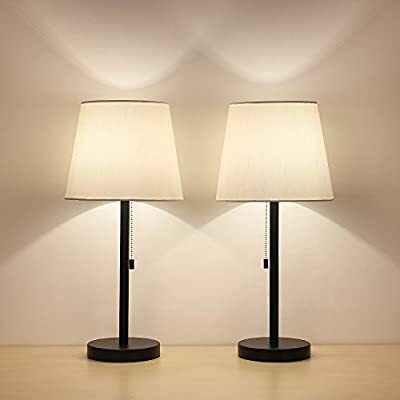 Each led desk lamp is equipped with two 5-watts light bulbs. One is white,the other one is warm white. 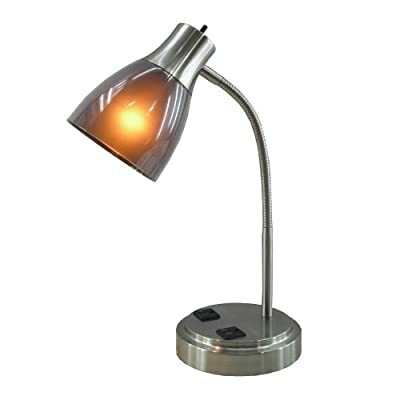 It provides a flicker-free lighting for reading, working or studying. 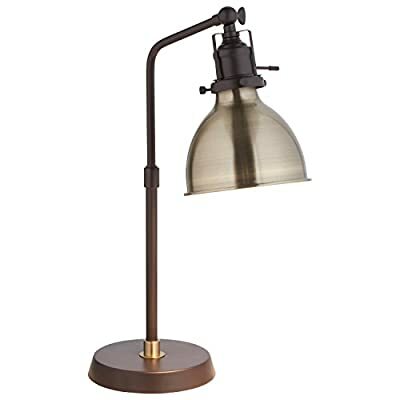 This task lamp brings a fun twist on modern vintage to your desk. 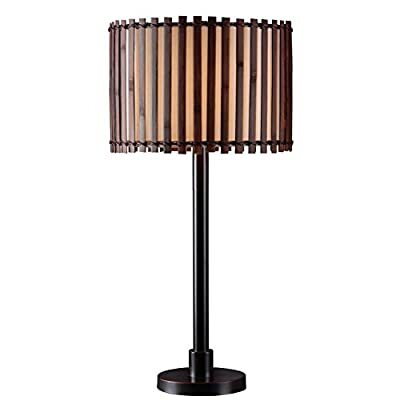 An eye-catching black metal shade is combined with an oil-rubbed bronze base and rod. 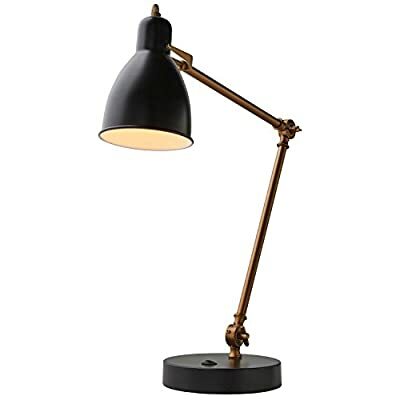 The arced arm adjusts to cast light where you need it, and the base includes a USB port. 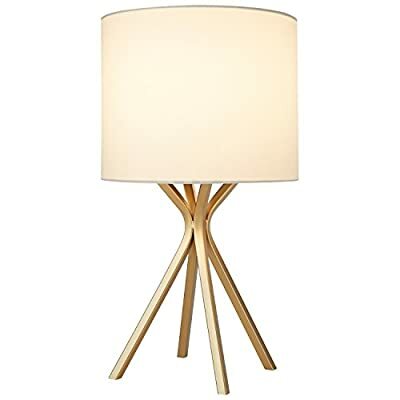 Dimensions: 18W x 18D x 30H in. Dimensions: 13W x 13D x 27H in. 19 1/4″ high overall. Base is 5″ wide. 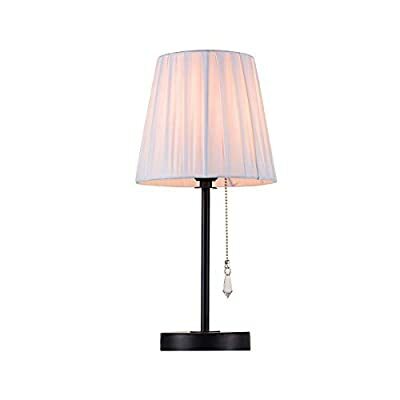 Shade only is 5 1/2″ across the top, 9 1/2″ across the bottom, 8″ on the slant. Includes one 60 watt G9 halogen bulb. Maximum 60 watt bulb. 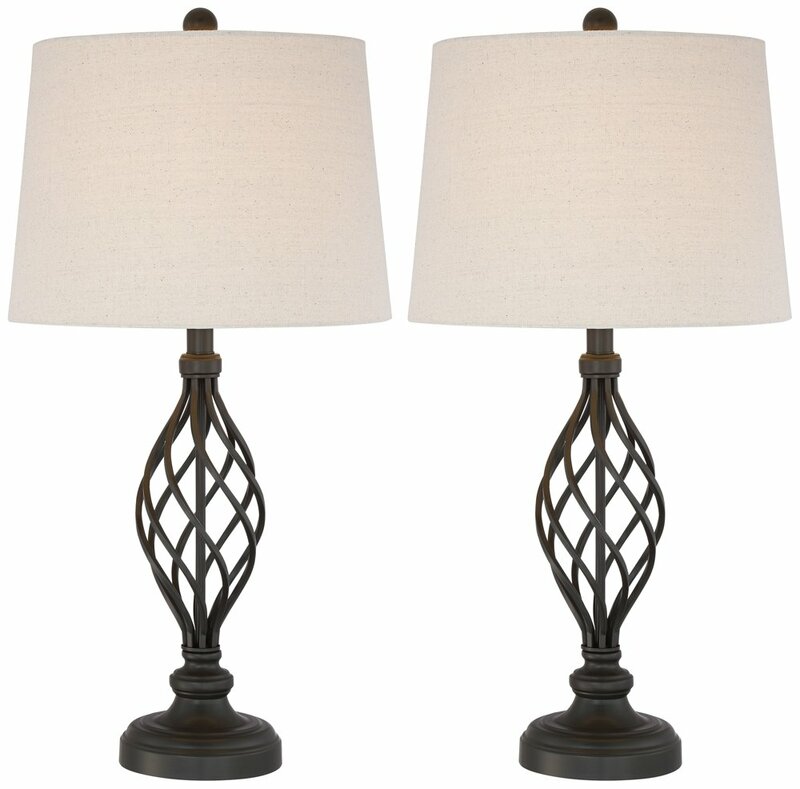 Touch lamp with a traditional candlestick style base, from Regency Hill lighting.